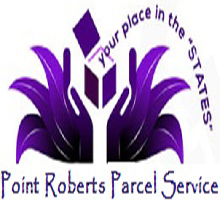 Read more about Point Roberts Parcel Service’s standard fees and services. Get registered to so we can receive packages on your behalf at Point Roberts Parcel Service. "Your Place in the States"
Send your parcel to us. No International shipping delays or charges. Pick up at your convenience! Parcel Receiving Services: Use our U.S. address to save time and money! No international shipping delays or international shipping charges will apply for shipments coming into Point Roberts. Point Roberts’s Parcel will email you when your parcels are received, and will await your pick-up.